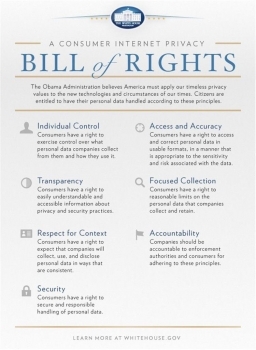 Today, Secretary John Bryson joined National Economic Council Director Gene Sperling and FTC Chairman Jon Leibowitz for the unveiling of an online “Consumer Privacy Bill of Rights” (PDF) at an event at the White House. The Secretary spoke about the need to protect consumers and encourage the growth of responsible online commerce. As Secretary Bryson pointed out, millions of Americans shop, sell, bank, learn, talk and work online. Online retail sales are now nearing $200 billion annually in the U.S. Yet we have all seen stories of consumer data being lost, compromised, or stolen. Privacy and trust online has never been more important to both businesses and consumers. More and more consumers are concerned about their information being used only as intended. 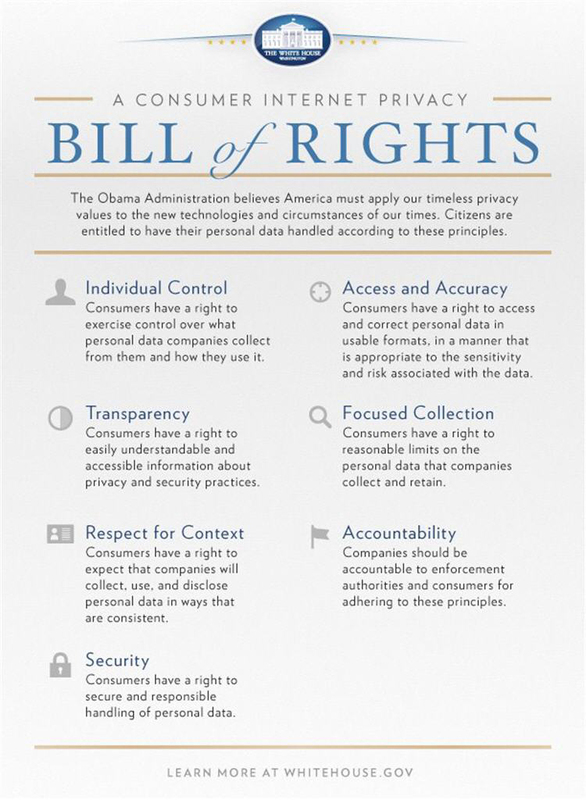 The Consumer Privacy Bill of Rights will help protect consumers’ personal data, provide businesses with better guidance on how to meet consumers’ privacy expectations, and ensure that the Internet remains a strong platform for commerce, innovation, and growth.